By utilizing skills of our adept professionals, we are offering a comprehensive segment of Welded Steel Beam. We provide Steel Beams, also known as W beams. 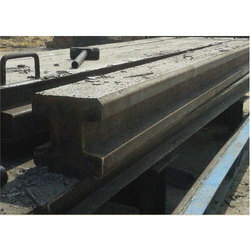 Owing to our experts and rich industrial knowledge, we are keenly successful bin presenting Steel Beam. We offer these at reasonable rates. 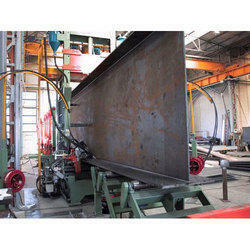 We provide beam, which is fabricated using quality tested stainless steel. Available in varied sizes and shapes, these are widely used in construction industries. We also offer customization on our range as per the specification detailed by clients. We provide a wide range of mild steel Joist & Beams, which are made from superior quality mild steel and are durable. Our range of mild steel beams are designed to offer an efficient shape to the architecture and buildings. These are widely used in constructing bridges, transmission line towers, industrial shed and structures etc. We specialize in producing superior quality steel beams in in a variety of different shapes and sizes. These beams are manufactured with close dimensional tolerance and desired mechanical properties. Built to the International standards, our beams are primarily used in commercial & residential building structures and warehouses.